Such lines of attack have become routine, citing and stoking fears that the president of the United States is a Kremlin stooge. The meme is on the march — and where it will end, nobody knows. 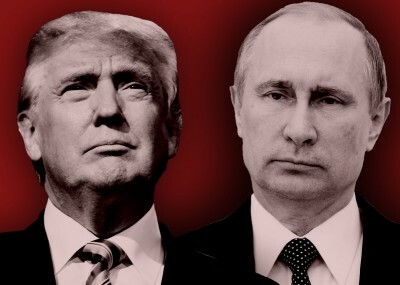 Hostile behavior toward Russia is what much of the U.S. media and political establishment have been fervently seeking. It’s also the kind of behavior that could drag us all over the brink into thermonuclear destruction. But c’mon, why worry about that? At the same time, we should refuse to be stampeded by the nonstop drumbeats from partisan talking points and mainline media outlets — as well as “the intelligence community.” It wasn’t mere happenstance when the Director of National Intelligence, James Clapper, openly lied at a Senate committee hearing in early 2013, replying “No sir” to a pivotal question from Sen. Ron Wyden: “Does the NSA collect any type of data at all on millions or hundreds of millions of Americans?” The lie was exposed three months later when Edward Snowden made possible the release of key NSA documents.